Horizon Blue Skies is a mix of blue holographic glitters of various sizes in a slightly tinted blue base. This is 1 coat over Electric Smurf Martini. Ginger Shandy is a mix of gold holographic glitters of various sizes in a clear base. This is 1 coat over Appletini. Cranberry Kiss is a mix of pink holographic glitters of various sizes in a cranberry tinted base. This is 1 coat over Magenta Joker-tini. This is my favorite combo of the bunch, and I wore it all last weekend with no chips or tip wear. Purple Lobster is a mix of purple holographic glitters of varying sizes in a clear base. This is 1 coat over Purple Dragon Martini. 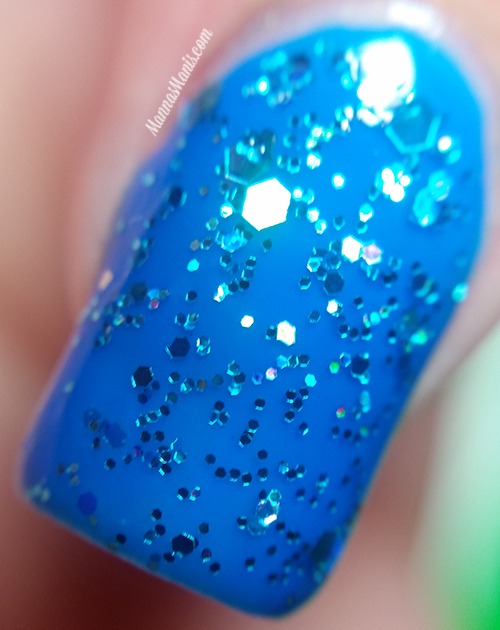 Sweet Seacrest is a mix of chunky teal holographic glitters of varying sizes in a clear base. This is 1 coat over Teal-tini. La Paloma Suprema is a mix of silver holographic glitters of varying sizes in a clear base. This is 1 coat over Pink Cosmopolitan. 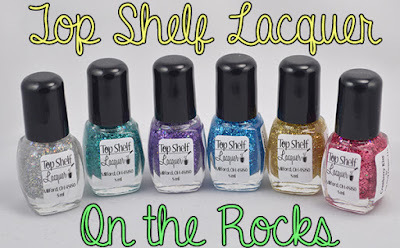 Final thoughts: Great glitter toppers! I know some of you will ask "are they full coverage?" and my answer is no. Unless you like a visible nail line, these are NOT full coverage glitters, and are best used as toppers. They would also look lovely over TSL's pastel collection! Release: TODAY!! Friday, May 15th. 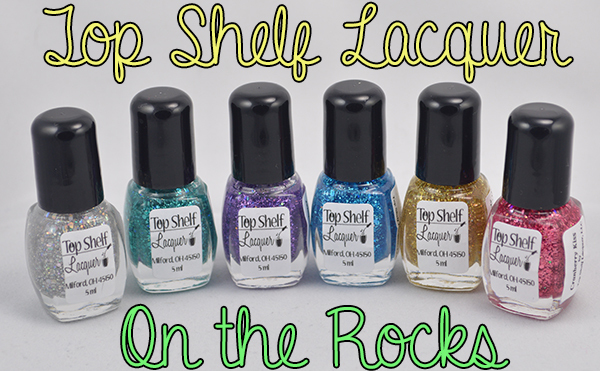 Don't forget, Top Shelf Lacquer's NEON and PASTELS collections also release today! If you buy 2 or more sets, you will receive free shipping in the US.